Come and try the latest addition to my fitness club. 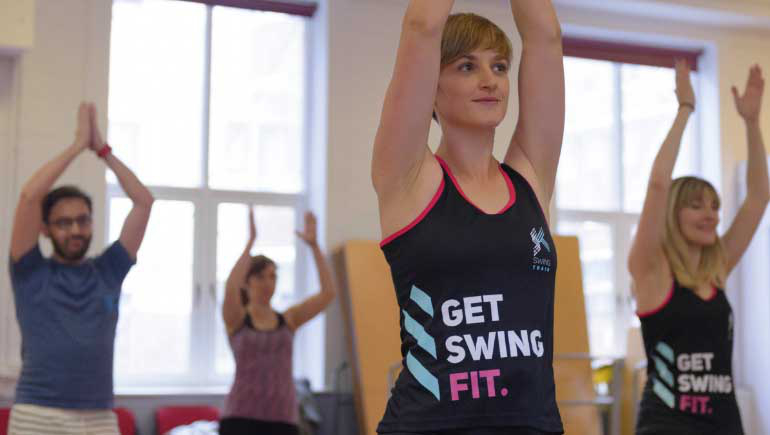 SwingTrain classes alternate ever few weeks with Pound Fit, Aerobics and Circuits. Check my Facebook page below to see what’s on! Your first class as a new member is FREE. Save money by purchasing a class pass. Classes are held in the Cartland Function Room which can be accessed by coming through the front door of the club off the Ancestor Road. Questions? Visit my website www.carolinesclasses.co.uk to e-mail me, or check out my Facebook page linked below.